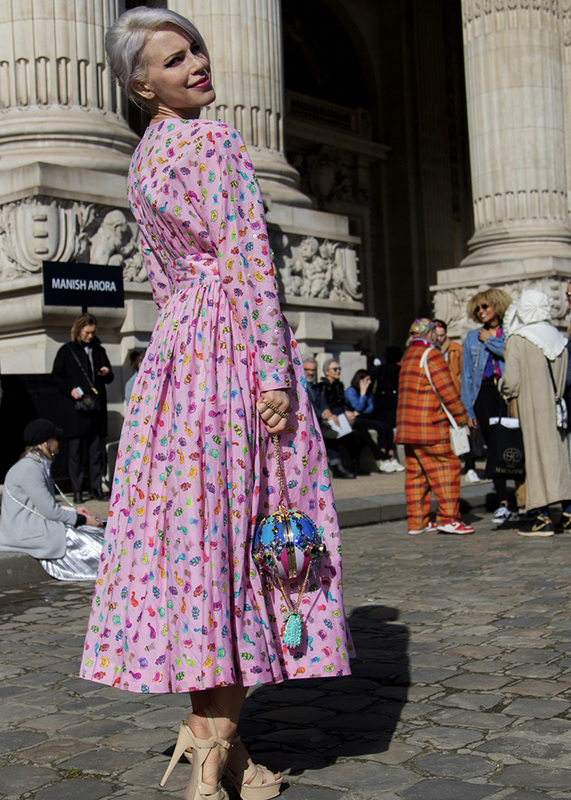 Street fashion pitstops outside shows in Paris & Milan have become alternative runways, stages for the exuberant & extroverted. 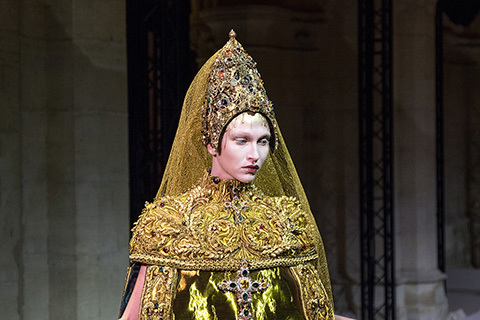 The past decade has seen an explosion in both photographers and their willing subjects at fashion weeks. 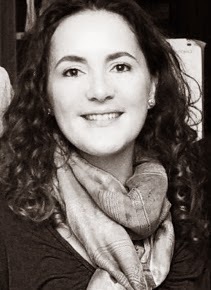 But it's becoming more difficult to be noticed among the crowds & to make a career from shooting them, Jeanne-Marie Cilento writes. 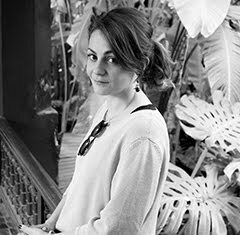 Photography in Paris by Elli Ioannou and in Milan by Kseniya Segina. ON a grey and cloudy day in the French capital at the Rodin Museum, all you can hear is the crunch of feet on the Parisian white gravel, chattering voices, the call of photographers and the incessant whirr of cameras snapping. The French police are out in force and the street has been closed off. It is the day of Maria Grazia Chiuri's ready-to-wear show for Christian Dior and street style photographers and their subjects are beginning their dance of posing and shooting that will go on before and after the show. Like the ebb and flow of the sea, the photographers, photojournalists, bloggers and TV crews wash around one street style star, who stands alone like an island in an ocean of cameras, before they move en masse to their next willing quarry. Like the ebb and flow of the sea, photographers wash around one street style star, who stands alone like an island in an ocean of cameras. Among the scrum, are models of the moment like Canadian Winnie Harlow, Italian fashion blogger Chiara Ferragni and American Vogue's creative director Grace Coddington. 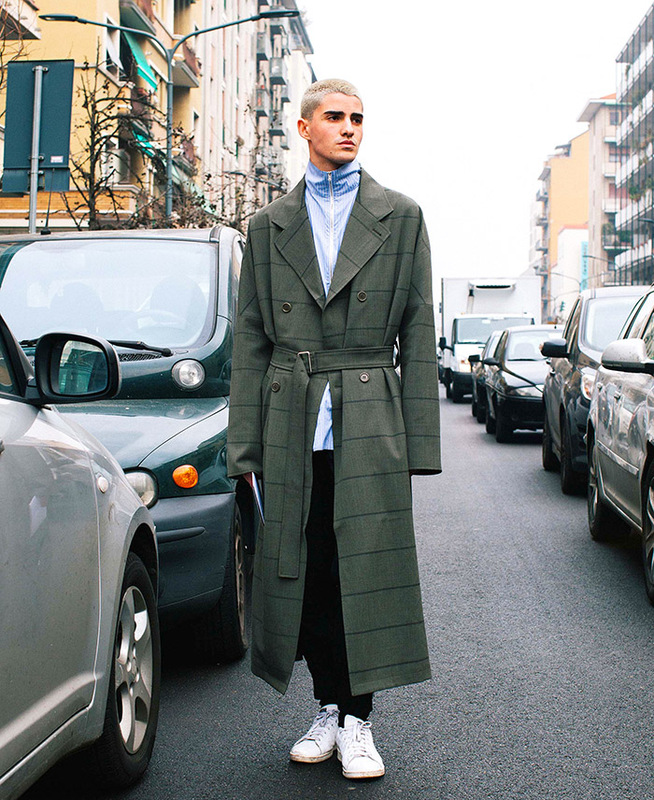 Even though it is a cold, wintry day German blogger Caroline Daur's arms and torso are bare but for a horizontal sliver of Dior with thin straps and loose, high-waisted trousers. The only thing that looks warm is her fluffy, bright orange purse. Across town, another band of enthusiastic guests stand outside Indian couturier Manish Arora's show wearing his signature vividly hued pieces and their own brand of colourful maximalism. Singer Aria wears one of the designer's long, silken gowns in bright pink decorated with tiny sea animals like coloured candy. A few days earlier in Milan, the street style photographers were arriving at the Italian designers' shows waiting to shoot not only Vogue Japan's editor-at-large Anna Dello Russo, an original fashion favourite famous for her extravagant outfits, plus a panopoly of uber models including Bianca Balti, but also interesting-looking people wearing their own mix of high and low fashion. Some of the bloggers, actresses or digital influencers wear a "total look" of the design house like a walking billboard for the brand while others combine one piece from a designer's current season sith earlier pieces and cheap chic from Top Shop or Zara. What is worn on the runway during Milan and Paris fashion weeks has always commanded attention around the world ~ today acres of pictures are also now devoted to what is worn off the catwalk. While what is on the runway during Milan and Paris fashion weeks has always commanded attention around the world, today acres of digital pictures are also now devoted to what is worn off the catwalk. 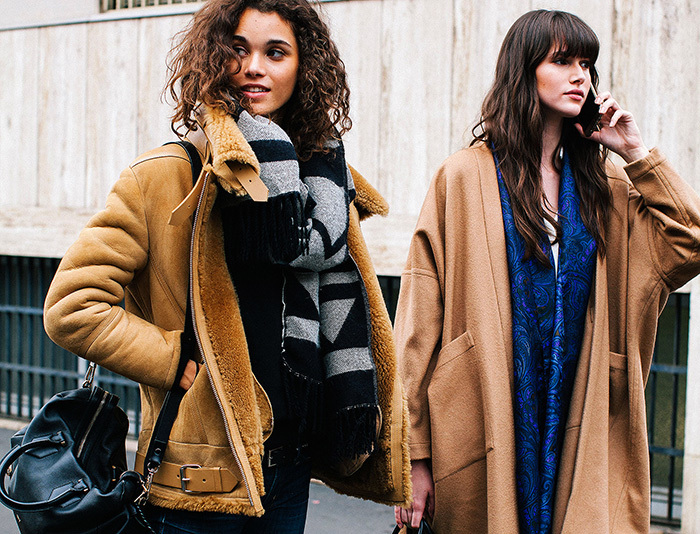 Street style has become it's own industry taking up many column inches online and in print. The late American photographer Bill Cunningham brought street style to readers in his New York Times columns, On the Street and Evening Hours, chronicling the city’s inhabitants from the fashionable to the frankly eccentric. In his nearly 40 years working for The Times, Bill Cunningham covered New York on his bike recording a history of 20th and 21st Century dress and social mores. But the rise of the blog and the use of the internet to publish pictures really took off a decade ago. 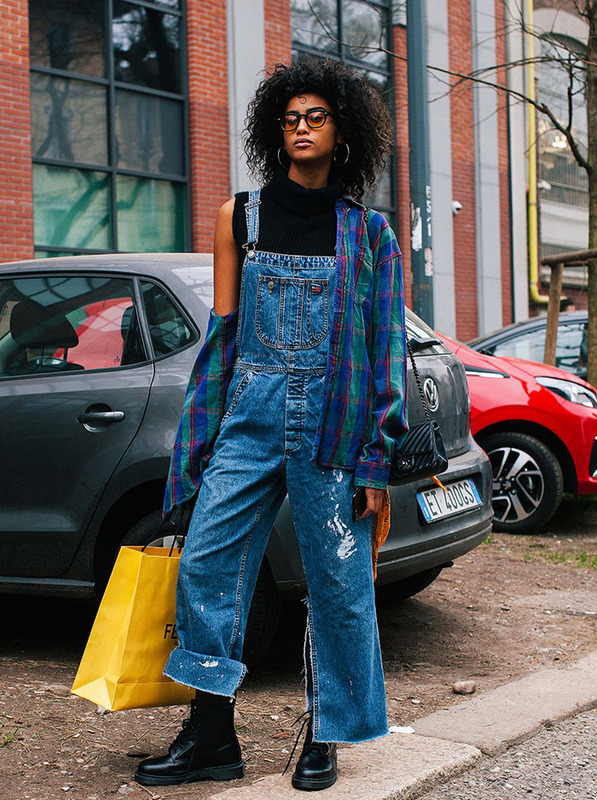 American self-taught photographer Scott Schuman set the trend with his The Sartorialist blog in 2006, shooting people who looked stylish yet natural at the same time in the New York streets ~ he wanted to connect fashion and quotidian life. The Sartorialist soon became a must read for those curious about style on the streets of the world's capital cities and those working in the industry who wanted Schuman to shoot campaigns for fashion houses and magazines. The late American photographer Bill Cunningham brought street fashion to readers in his New York Times' columns, 'On the Street' and 'Evening Hours', chronicling the city’s inhabitants from the fashionable to the frankly eccentric. fashion industry, every season there appears to be more photographers and more willing ~ and aiming ~ to be photographed. While The Blonde Salad's Italian blogger Chiara Ferragni and Gary Pepper Girl's Australian Nicole Warne built their careers on being street style favourites and became self-made stars within the street fashion firmament, both have moved on to create business interests from their original popularity as bloggers. Ferragni has broadened her interests to include a range of footwear and is building an extensive e-commerce website. 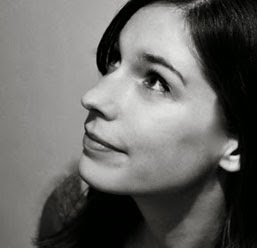 She has broken out from the online blogger mould and has been photographed for more than 50 covers of well-known print magazines. 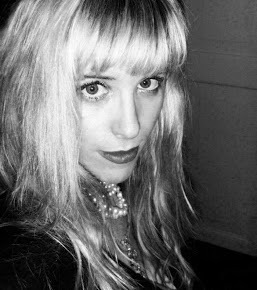 Even Harvard University did a special report on The Blonde Salad blog and how Ferragni and her partner Riccardo Pozzoli turned it into a business. Since Pozzoli, Ferragni's boyfriend of the time, started taking pictures of her in Milan's streets in 2009, street fashion has exploded. 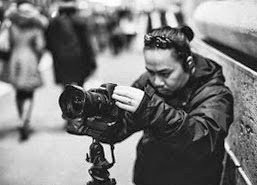 Today, the sheer number of photographers and people wanting to be photographed has grown so exponentially it is increasingly difficult for photographers to make any money from it and for wannabe style stars to get any attention. 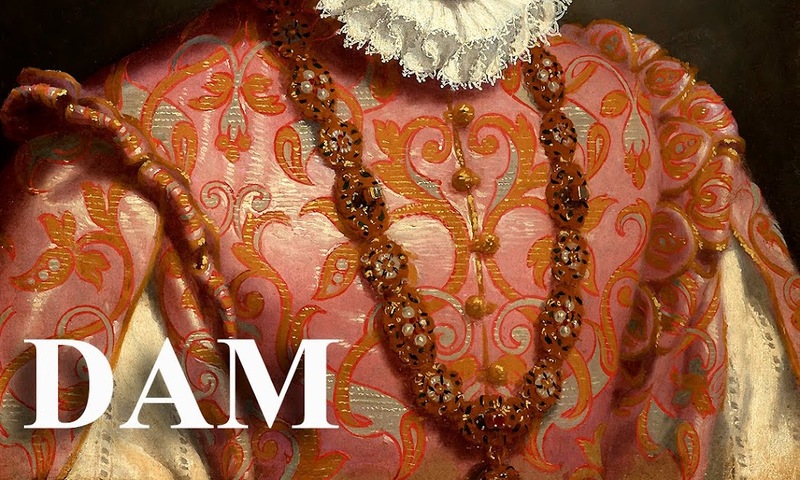 For anthropologists curious about the human social condition to followers of fashion, pictures of people in the street wearing both the bizarre and the banal has an enduring fascination. However, for the readers and followers of fashion, the pictures of people in the street wearing both the bizarre and the banal has an enduring fascination. While images of impossibly slim, teenage models who are coiffed to perfection walking the runway has a distancing effect, those of people wearing their own concoctions and pictured in an urban environment still seems to offer a window into the fashion world that is much easier to relate to. Although only the very few will be able to make a viable career out of either being photographed or working as the photographer taking them, our keen interest in looking at what other people are wearing is a human trait that is unlikely to wane. Street fashion originally emerged not from photographic studios, but from what people are wearing in cities. 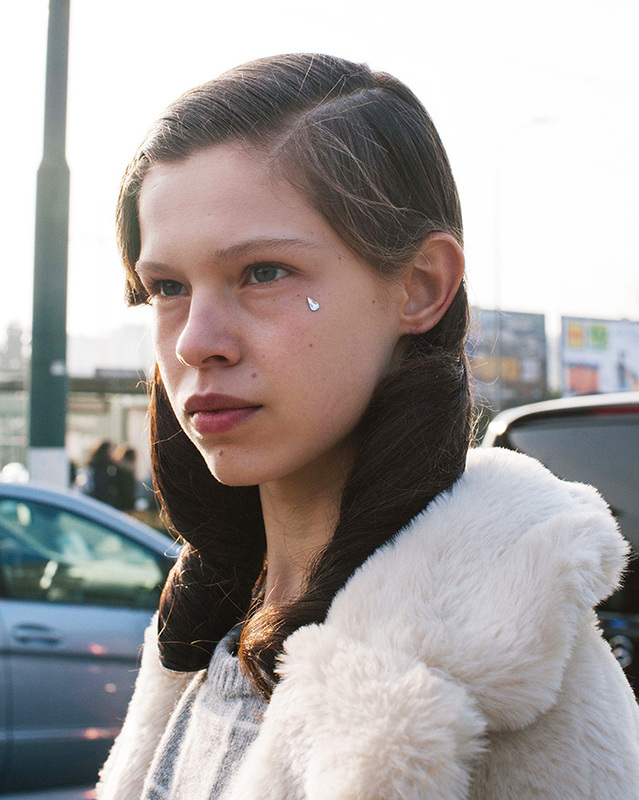 It began with youth culture, beginning in urban places all around the world. Newspapers and magazines began to feature photographs of people in the street wearing stylish, eccentric and individual outfits with a certain amount of insouciance. 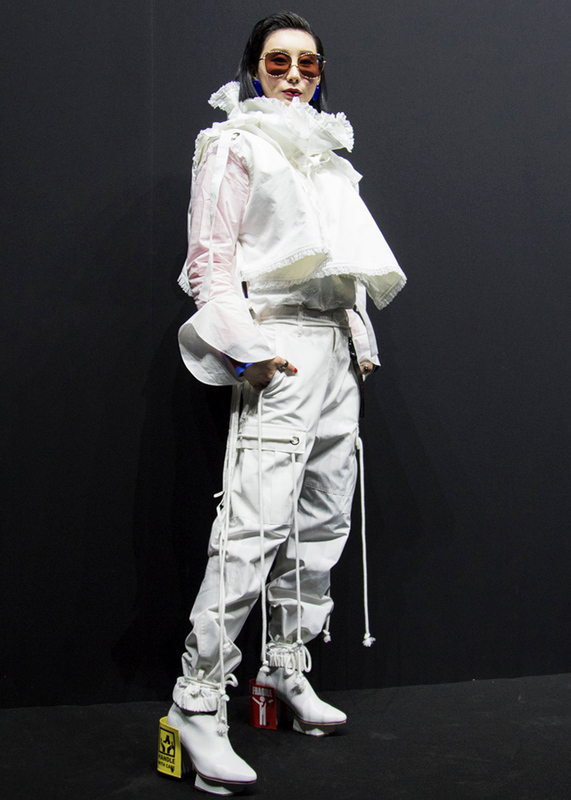 Japanese street style has been one of the great propellers of street style with many diverse movements happening all at once that are then co-opted by fashion designers for their own collections. Many of these trends have been chronicled by Shoichi Aoki since 1997 in the fashion magazine Fruits. Since the late 19th Century, there have been pictures of fashionable ladies photographed in the street, particularly in Paris. But the modern sense of street fashion only really took hold in the 1960s. The concept of photographers shooting outside the studio and capturing what people are wearing in the street goes back to Japan again. Though the styles have changed over the years, street fashion is still prominent in Tokyo today. Subcultures have formed in large urban fashion districts such as Harajuku, Aoyama, Ginza, Odaiba, Shinjuku and Shibuya. Street fashion in Japan is created from a mix of both local and foreign labels and some of the styles are extreme and avant-garde, similar to the haute couture seen on European catwalks and now outside fashion shows. 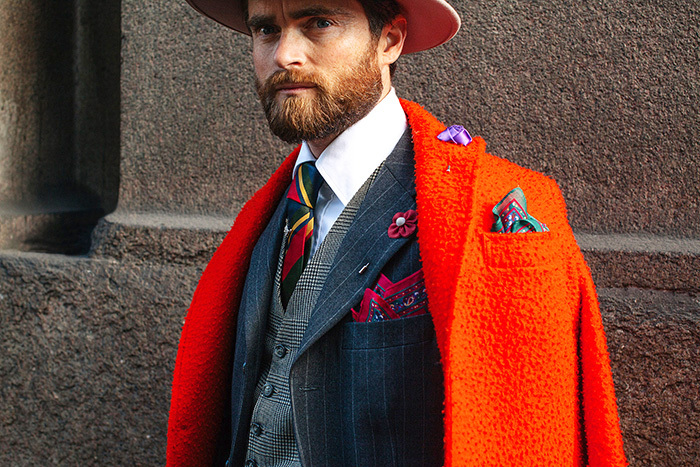 Italian dandy Niccolo Cesari in suit and tie with a touch of flair and a burnt orange overcoat in Milan. Italian blogger Chiara Ferragni is surrounded by photographers and fans in Paris at the Dior show. 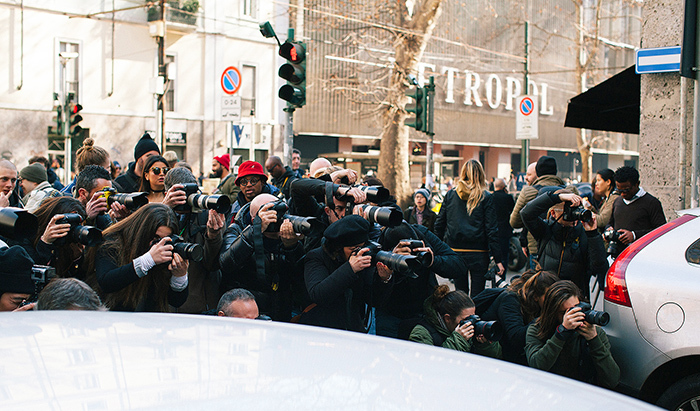 Photographers in a scrum outside Dolce & Gabbana's Metropol Theatre in Milan. 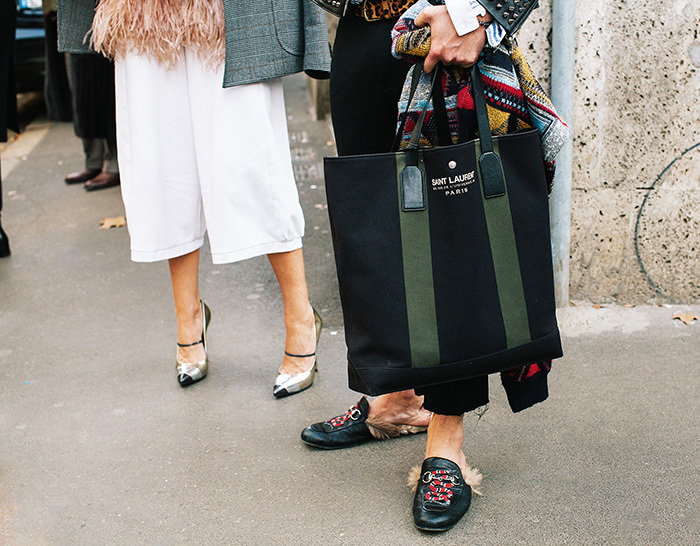 Filippo Bologni mixing classic checks and sportswear in Milan outside the Etro show. Billowing Dior in Paris at the Rodin Museum. Canadian model Winnie Harlow is surrounded by television cameras in Paris at Dior. At the Gucci show in Milan, musician Maxime Sokolinski. 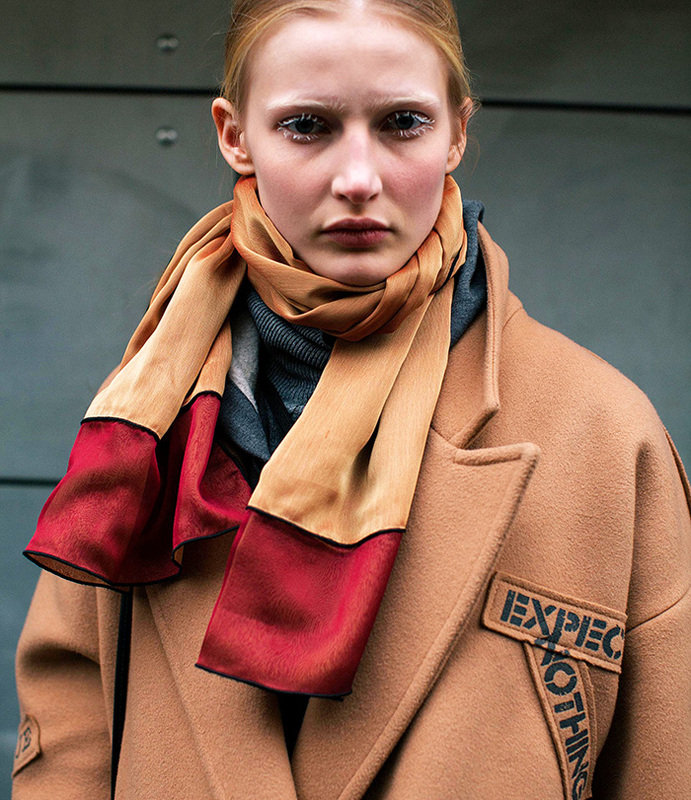 Camel-hued overcoats and patterned scarves in Milan. 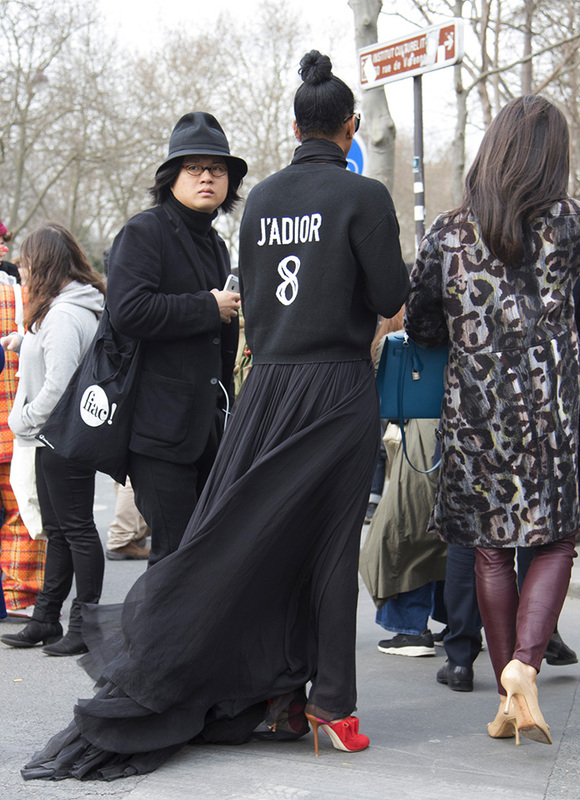 Black and white elegance in Paris outside of the Dior show. 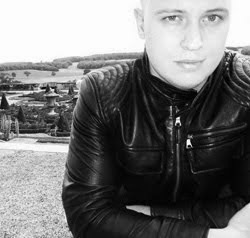 Black leather, black jeans and tiny clutch at the Rodin Museum in Paris. On a wintry day in Paris, German blogger Caroline Daur wears a sliver of Dior to the show at the Rodin Museum. 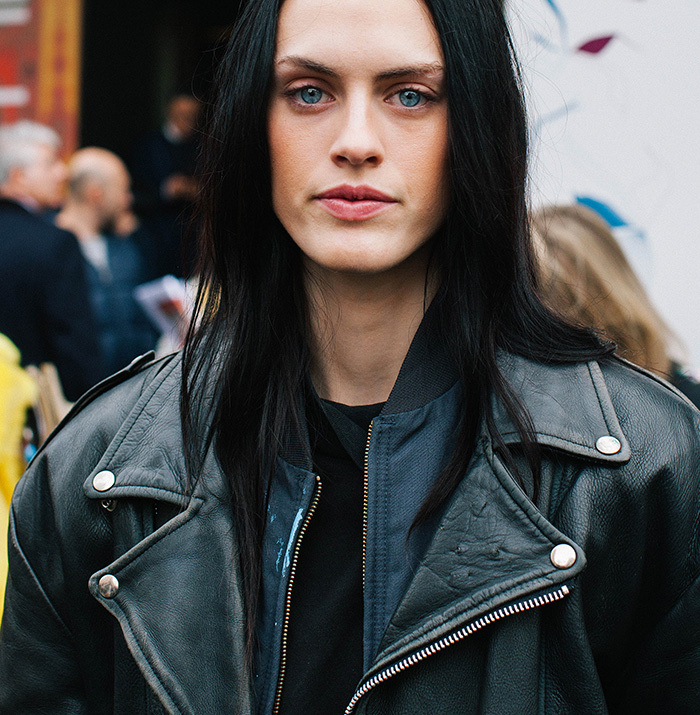 Gilda Ambrosio in Milan during fashion week. 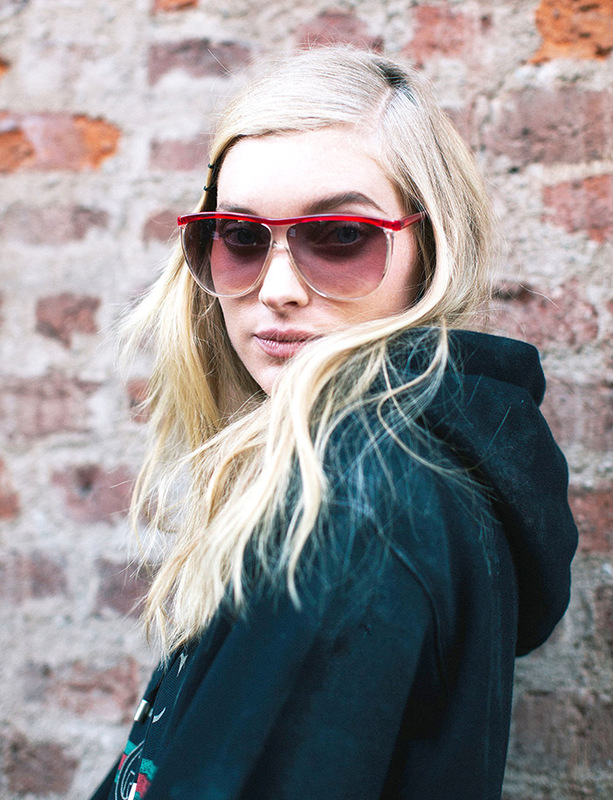 Captured looking casual in Milan, model Elsa Hosk. 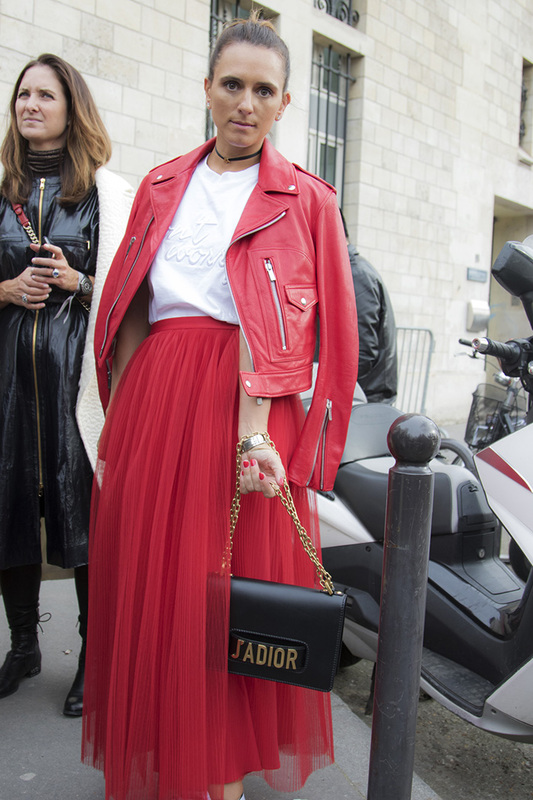 Bright red flowing skirt and leather jacket at Dior in Paris. 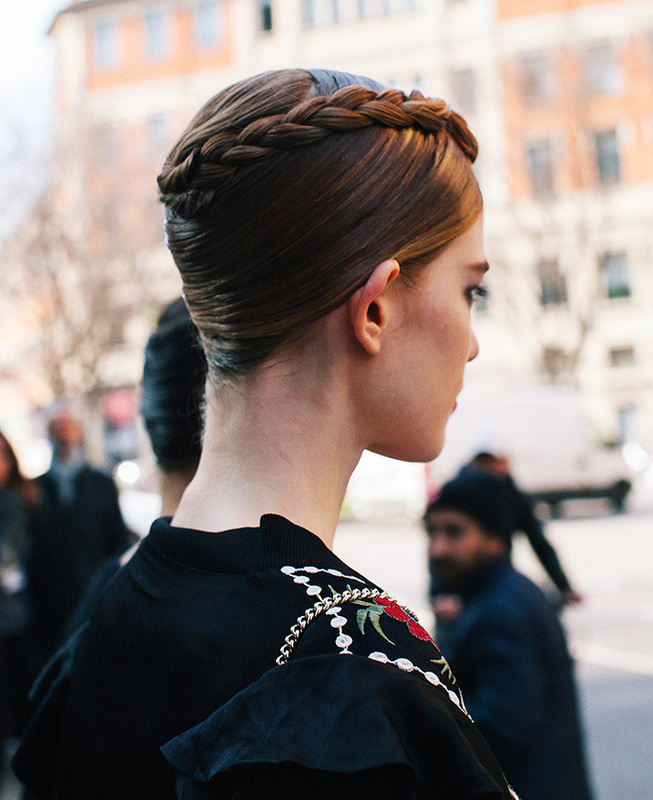 Sleek hair and chignon outside Armani in Milan. 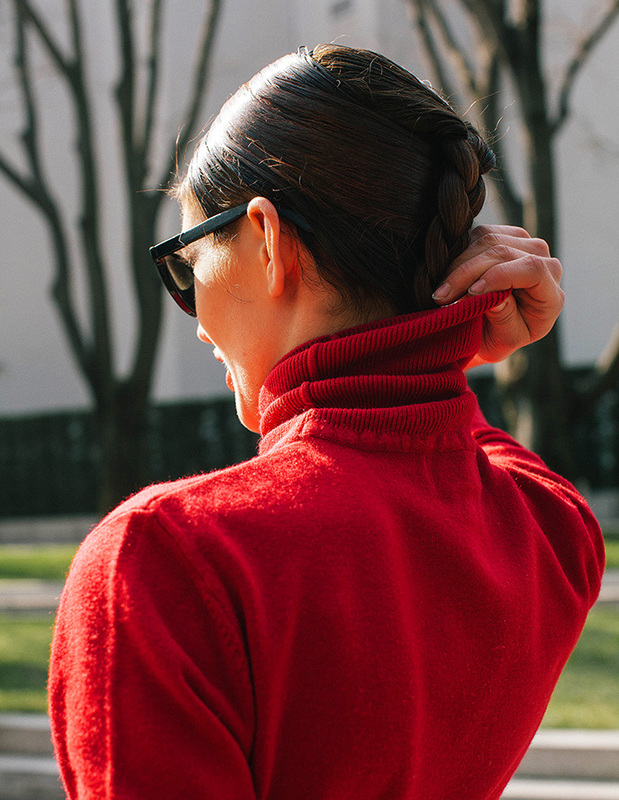 Cherry-red roll-neck and smooth, plaited chignon at Armani. Classic camel shirt and gold make for a stylish getaway in Paris at Dior. 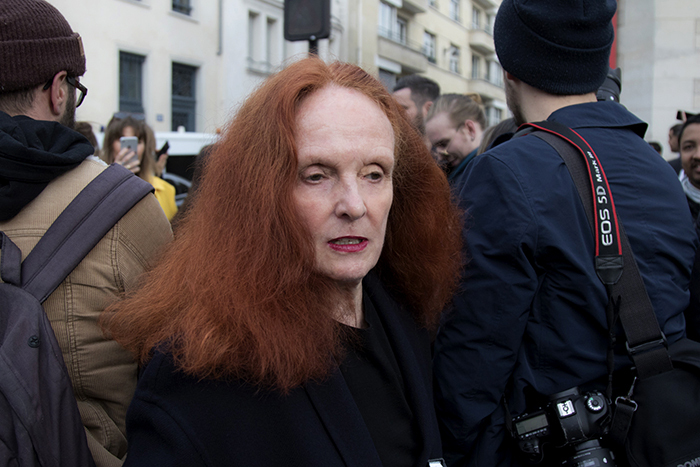 Grace Coddington, creative director for American Vogue, in Paris. Meimei Zhao wearing a white space age outfit with brilliant heels finished with depictions of small warning signs. 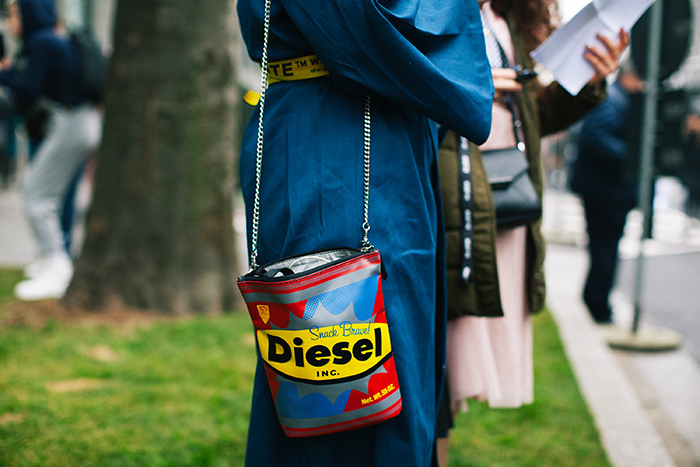 Denim and Diesel in Milan at Armani. 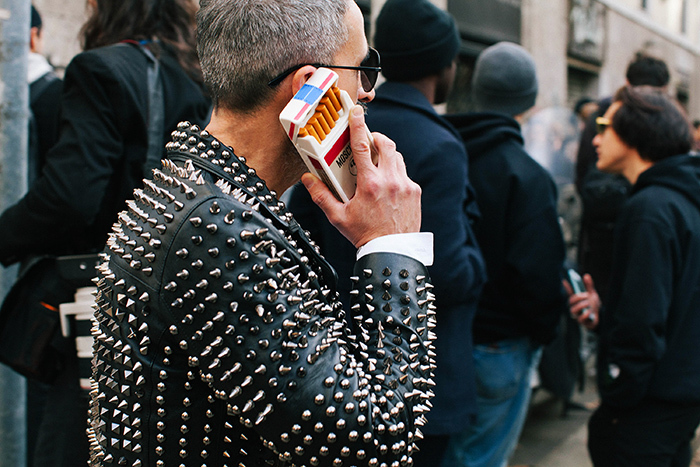 Spiky leather jacket and Moschino phone case makes a sharp look in Milan. High and low heels and a Saint Laurent bag at Dolce & Gabbana in Milan. 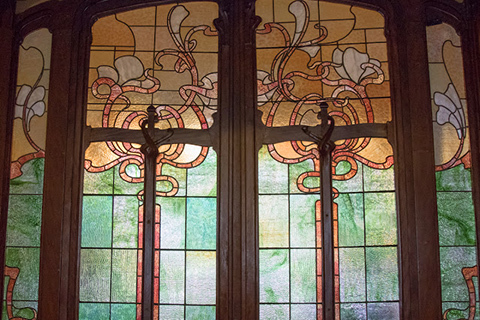 Singer Aria in pink dress decorated with tiny sea creatures at the Grand Palais in Paris. 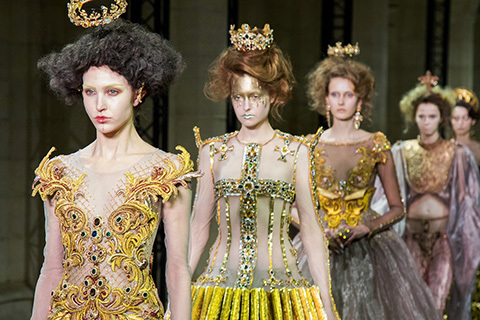 Butterfly high heels and a buttercup yellow dress at Manish Arora in Paris. 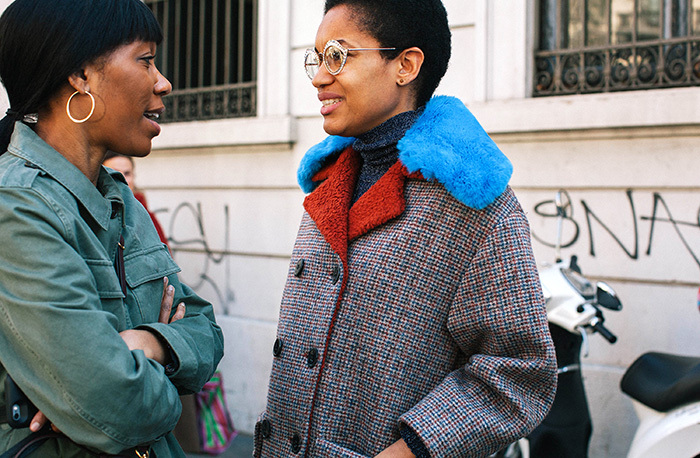 Seventies style cool in Milan. 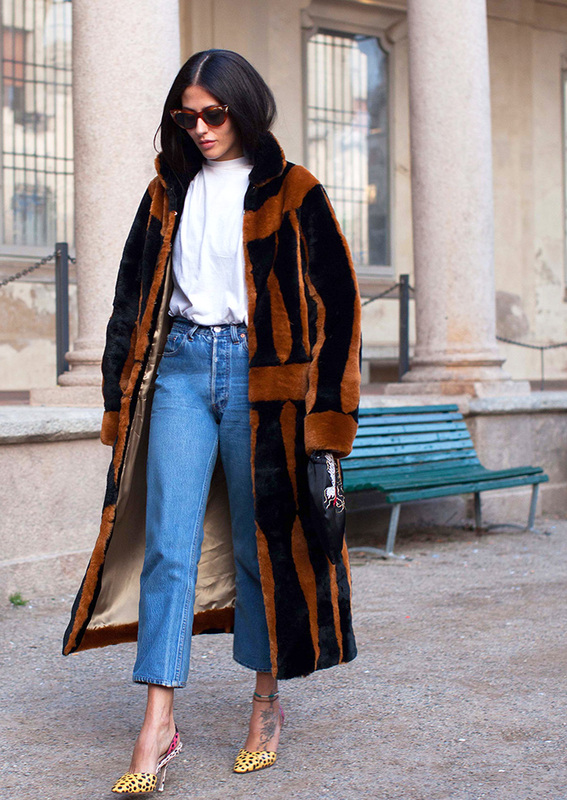 At Marni in Milan, Daria Shapovalov wears velvet flower-strewn denim. Denim on denim with gold, low-heeled pumps at Manish Arora in Paris. Fervent fans mixing brilliant colour and floral patterns with pink-lipped shoes at Manish Arora. Denim overalls and checked shirt at Fendi in Milan. 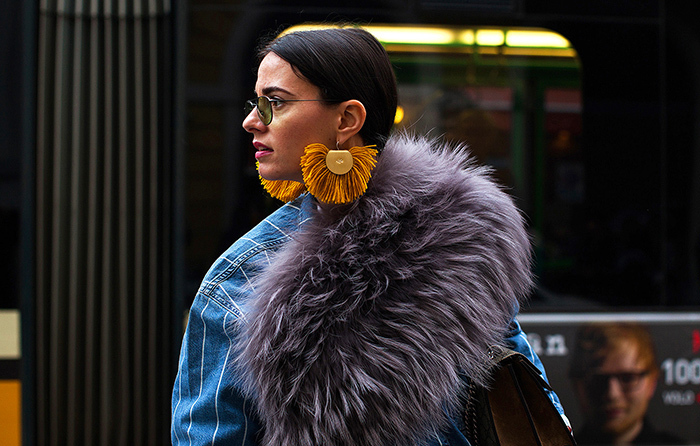 Fringed, yellow earrings, faux fur and denim makes a street style star in Milan at Pucci. 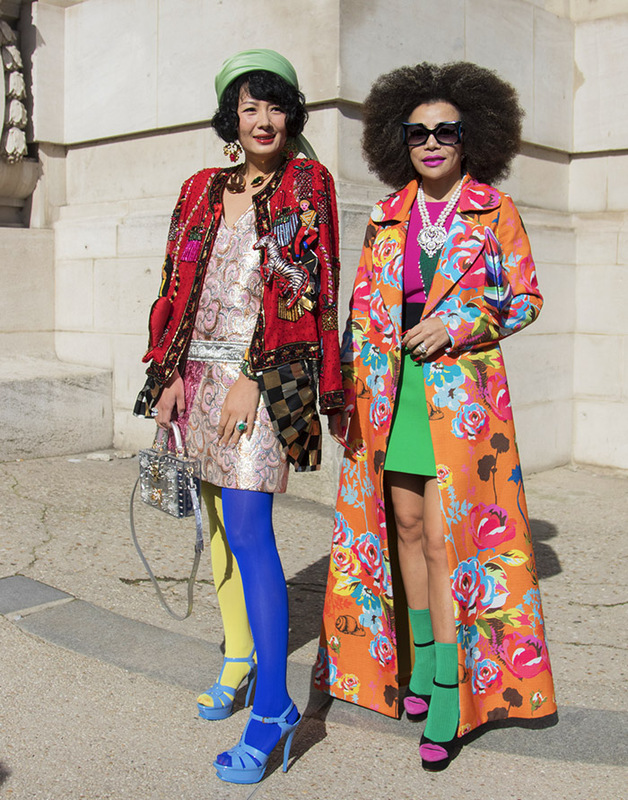 Nose ring and rainbow coloured jacket outside Manish Arora's show at the Grand Palais in Paris. Black lace and white stripes at Manish Arora's show in Paris. 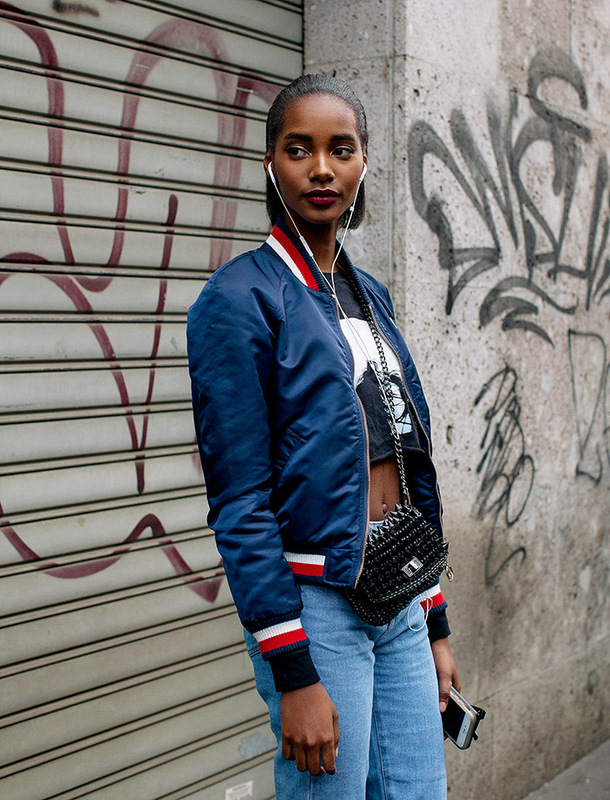 Bomber jacket and red-check grunge on the way to Pucci in Milan. Black leather jacket ~ a perennial fashion favourite ~ at the Etro show in Milan. 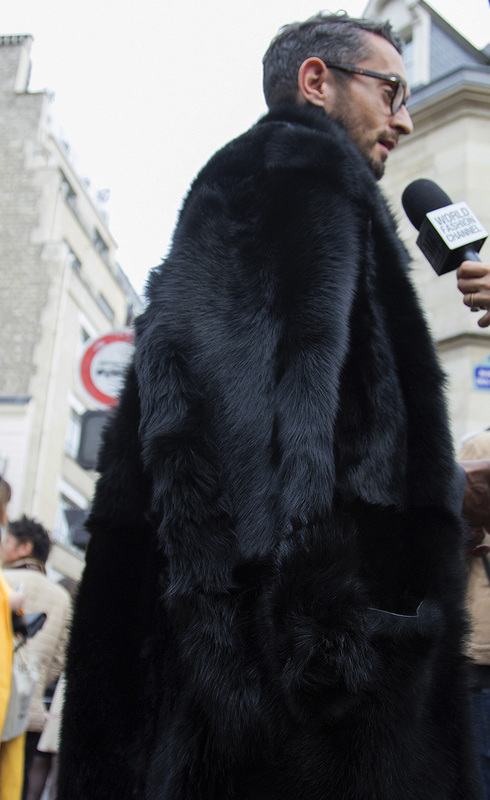 Simone Marchetti, fashion editor at La Repubblica, outside the Dior show in Paris. 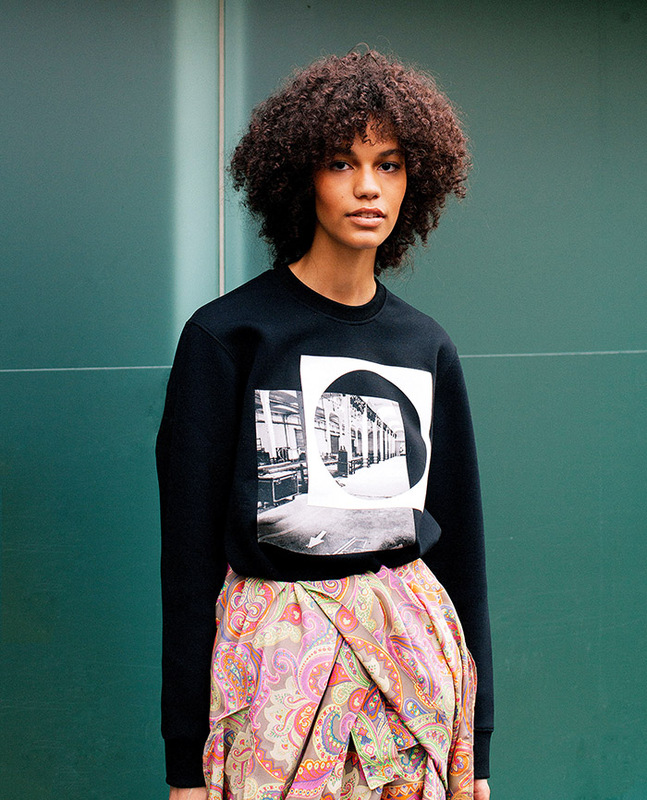 Black and white printed sweater with paisley-patterned ruched skirt in Milan. Feminine ruffles and embroidered jacket at Milan Fashion Week. Barbora Podzimkova at Ferragamo in Milan. Carlotta Oddi, Chiara Totire and Anna Dello Russo and in Milan during fashion week. 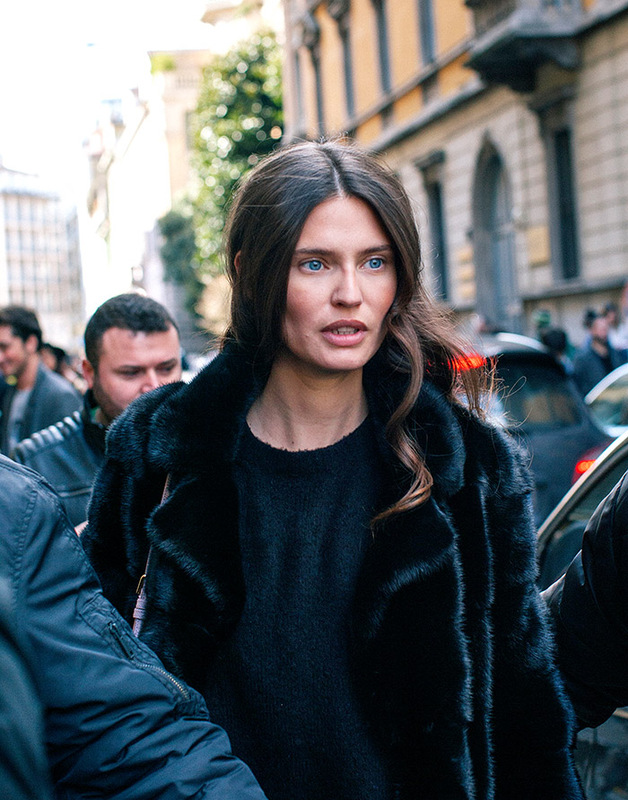 Model Bianca Balti in Milan during fashion week. Silky blue bomber jacket and jeans in Milan at Dolce & Gabbana. 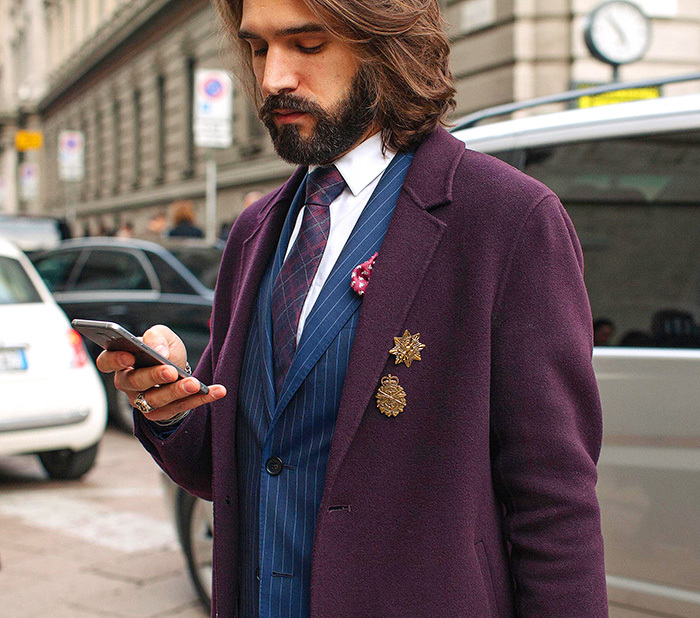 Purple and blue in Milan make another Italian dandy at Ferragamo. 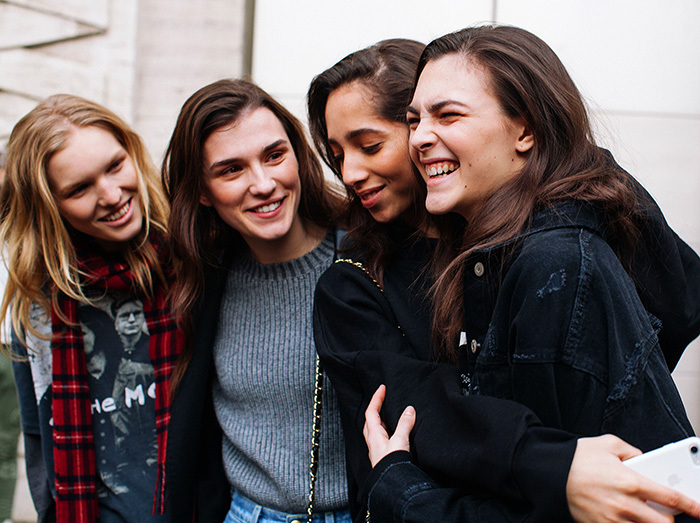 Fun at Milan Fashion Week. 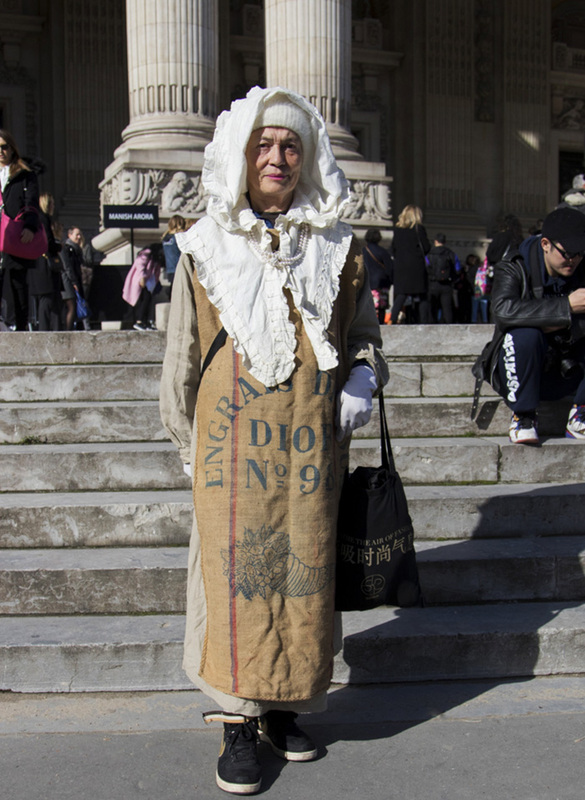 Sackcloth and a white,scalloped head scarf make an eccentric mix in Paris. White eyelashes and burgundy and camel at Pucci in Milan. 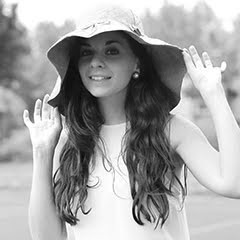 Roberta Ruiu at Milan Fashion Week in pale green lace. 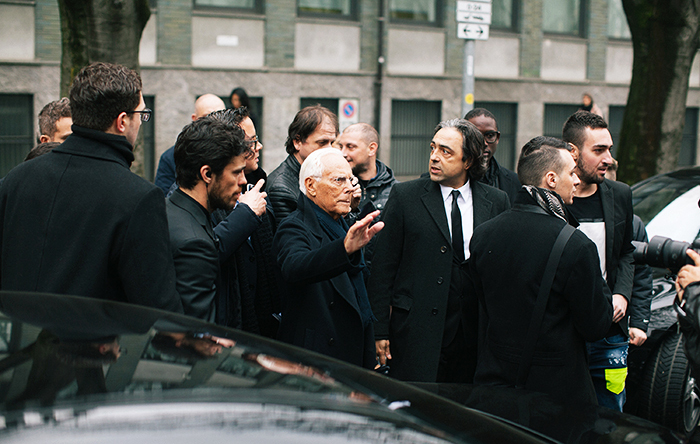 Photographers surround Giorgio Armani at his fashion show in Milan. 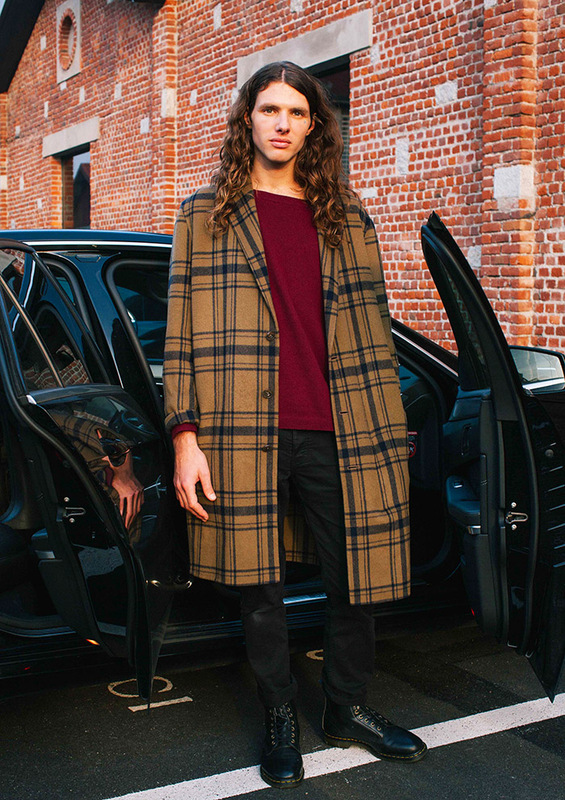 Tamu McPherson wearing a check overcoat with bright blue collar at Marni in Milan.